The Central Bank Digital Currency (hereafter CBDC), also called “Digital Fiat Currency or “digital base money” is the digital form of fiat money which is a currency established as money by government regulation or law. CBDC currency is different from “digital currency” (or virtual currency and cryptocurrency), which are not issued by the state and lack the legal tender status declared by the government. As such, public digital currencies could compete with commercial bank deposits and challenge the status quo of the current fractional reserve banking system. There are several types of central bank digital currencies, which we would discuss in detail later in the piece. In November 2017, the Central Bank of Uruguay announced plans to begin a test to issue digital Uruguayan pesos. The People’s Bank of China, the Chinese central bank, is also considering digital currency in the near to medium term. According to a survey published by the Bank of International Settlements (BIS) published in January 2019, researchers found that 70% of the central banks were experimenting with some form of CBDC. The Central Bank of Sweden is the closest to consider its implementation. • Safety of payments systems: a secure and standard interoperable digital payment instrument issued and governed by a central bank and used as the national digital payment instruments boosts confidence in privately controlled money systems and increases trust in the entire national payment system while also boosting competition in payment systems. • Protection of money as a public utility: digital currencies issued by central banks would provide a modern alternative to physical cash – whose abolition is currently being envisaged. • Preservation of seignioriage income: public digital currency issuance would avoid a predictable reduction of seignioriage income (the difference between face value of coins and their production costs) for governments in the event of a disparition of physical cash. • Technological efficiency: instead of relying on intermediaries such as banks and clearing houses, money transfers and payments could be made in real time, directly from the payer to the payee. • Banking competition: the provision of free bank accounts at the central bank offering complete safety of money deposits could strengthen competition between banks to attract bank deposits. • Monetary policy transmission: the issuance of central bank base money through transfers to the public could constitute a new channel for monetary policy transmission (ie. helicopter money), which would allow more direct control of the money supply than indirect tools such as quantitative easing and interest rates, and possibly lead the way towards a full reserve banking system. • Financial safety: CBDC would limit the practice of fractional reserve banking and potentially render deposit guarantee schemes less needed. • Transaction Monitoring: Unlike Bitcoin, CBDCs operate within the traditional banking system and the transactions can be monitored by the regulators and the central banks. This would have the benefit of curbing illicit financing as these transactions would no longer be anonymous as it in the case with physical cash or cryptocurrencies. However, the issuance of CBDCs would inevitably raise many questions, including legal ones. Cash is anonymous and such large-scale implementation of central bank digital currencies would inevitably raise questions about the right to privacy and freedom as well. BIS, the Basel-based body that promotes co-operation amongst central banks, classifies digital currencies as general purpose CBDC and wholesale CBDC. It is often confusing which type of CBDC is being discussed. Let’s look at few jurisdictions that are considering issuing CBDCs. Wholesale CBDCs are being experimented most prominently in Singapore and Canada for instantaneous settlement of transactions amongst banks. Both the Monetary Authority of Singapore and the Bank of Canada have been researching wholesale CBDCs under Project Ubin and Project Jasper, respectively. Last year, the two central banks came together to lead a consortium aimed at cracking one of the biggest challenges of distributed ledger technology. Their work focuses mostly in the area of wholesale interbank market (such as “decentralized netting”) that are seen as revolutionizing the existing payments architecture through tokenized central bank-backed digital currencies built on blockchain. The projects that reportedly involve hundreds of developers and leading consulting firms, however, remain at a conceptual stage. While it would take a long time before such central bank digital currencies are being implemented around the world, especially in terms of retail use, China is apparently leaving no stone unturned in bringing it into fruition. The popularity of Bitcoin in China has given enough reasons for the Chinese regulators and authorities to experiment with the new technology behind the cryptocurrency for their own use. For one, creating such a digital currency would make it difficult for Chinese citizens to move money offshore without being noticed by the authorities. It is little wonder then that billions of dollars have reportedly been spent on various initiatives aimed at creating such a digital currency. The People’s Bank of China (PBOC) has set up a dedicated research unit in Beijing to create a central bank digital currency or digital equivalent of Yuan. The bank has also set up similar labs in Nanjing and Shenzhen in cooperation with local universities and municipal authorities. The researchers have been regularly filing patents for new innovations in the field. In fact, PBOC ranks, along with other Chinese tech giants such as Alibaba and Tencent, as one of the most active innovation centers in the realm of blockchain. China as a whole has reportedly filed more blockchain technology patents that any other country with the World Intellectual Property Organization (WIPO). In total, the PBOC has filed more than 40 patent applications so far – all as part of the aim to create a digital currency combining the core features of cryptocurrency and the existing monetary system. Each of the 41 patent applications focuses on a certain aspect of a digital currency system, and when combined, would create a digital currency as well as a wallet that stores and tracks digital currencies. The ultimate goal, as reported in the media, is to “break the silo between blockchain-based cryptocurrency and the existing monetary system.” The cash can be held by users in a decentralized way. In other words, there would be no banks holding the currencies and the users would hold the currencies in a peer-to-peer basis on their wallet. Even the bank’s job posts in 2019 said that its annual hiring would focus on experts specializing in cryptography. The Bank of Japan is considering issuing a central bank digital currency as it explores the benefits of cashless payments, according to a new research report titled “Digital Innovation, Data Revolution and Central Bank Digital Currency,” the latest in a series published by the Japanese central bank on the topic. The findings were prepared by Professor Noriyuki Yanagawa of the University of Tokyo Graduate School of Economics and Hiromi Yamaoka of the Bank of Japan and the Institute for Monetary and Economic Studies. While the report confirms the bank has no plans for a CBDC at this time, the authors recognize the additional functions crypto offers beyond traditional payments, as well as the wider implications of more efficient, direct blockchain transactions. “In order to consider the pros and cons of central bank digital currencies as well as the future of money, it is needed to assess their possible impacts not only on payment efficiency but also on financial structure and the overall economy,” the report noted. The report reflects on a number of benefits for central banks issuing cryptocurrencies, such as the reduced cost of economic transactions over cash, improving financial inclusion rates worldwide and enhancing privacy. The authors also suggest that cryptocurrencies can help with crime prevention and anti-money laundering protections, by reducing paper bank notes in circulation and recording transactions on a digital ledger. While the BOJ has yet to announce a formal policy position on CBDCs, the central bank has been known to be actively considering embracing the technology further. The Bank of Korea said in a recent report CBDC is “not good” for a country’s financial stability. Dubbed as ‘Central Bank Digital Currency and Financial Stability,’ the study found that the introduction of CBDC deposits would radically decrease the supply of private credit by commercial banks. As a result, those banks will likely increase their interest rates which will further lead to a decline in their reserve-deposit ratio. The Korean central bank reached the conclusion after considering that central banks will work as account holders. In the current scenario, commercial banks assume the role of safeguarding and managing clients’ fiat assets in exchange for an annual interest rate. A CBDC will likely reduce people’s dependency on commercial banking that can eventually leave them “short of funds,” the report decided. Indeed, the CBDCs are not without their risks. The efforts amongst central banks to issue digital currencies have raised alarm at global watchdogs, most notably, the BIS, which is owned by the global central banks. The BIS issued a report in March 2018 that pointed out that central banks should exercise caution when creating such sovereign currencies because of unforeseen risks. The report categorized central bank digital currencies into two main types: general purpose CBDCs and the wholesale CBDs. For the general purpose CBDCs, the BIS maintained that it was unsure what benefits such digital currencies would provide beyond the existing payment systems. Besides, it highlighted the general concern is that the introduction of a CBDC would precipitate potential bank runs and thus make banks’ funding position weaker. 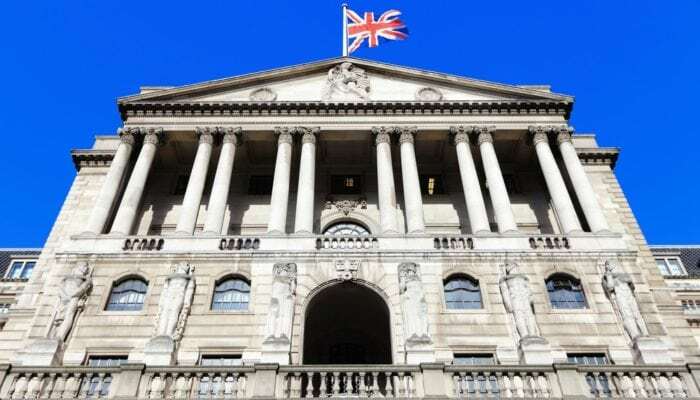 However, the Bank of England found that if the introduction of CBDC follows a set of core principles the risk of a system-wide run from bank deposits to CBDC could be mitigated. Over 85% of central banks see themselves as either somewhat unlikely or very unlikely to issue any type of CBDC. 63 central banks (41 in emerging market economies and 22 in advanced economies), representing jurisdictions covering close to 80% of the world’s population and over 90% of global output, responded to the survey. The survey asked central banks about their current work on CBDCs, what motivates that work, and the likelihood of their issuance of a CBDC. Over 85% of central banks responded that they are “either somewhat unlikely or very unlikely” to issue any type of CBDC in the near term.